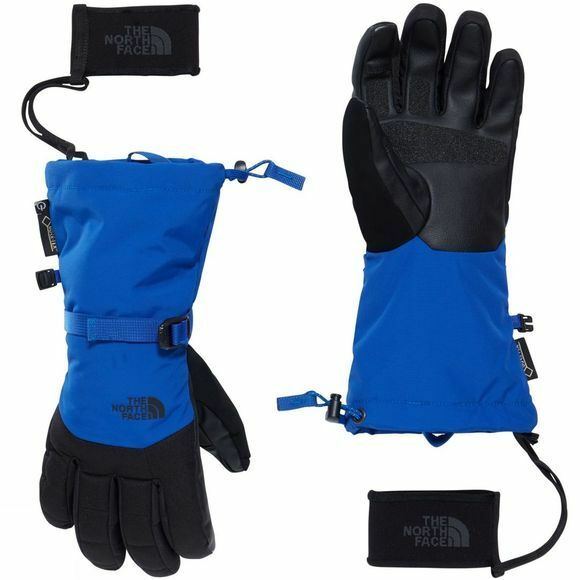 Engineered to deliver all-round protection on the slopes, the Men's Montana GORE-TEX® alpine ski glove combines warmth and comfort with 100% waterproof performance. This full-coverage gauntlet glove locks in heat and keeps out snow, with lightweight Heatseeker™ insulation ensuring your hands stay warm all day long. Fourchette-box finger construction keeps your fingertips toasty, while Etip™ functionality lets you use your touchscreen devices to take photos or stay connected when you hit the powder. When the mercury plummets, the removable Wrist Oven™ leash works with a handwarmer to deliver an extra burst of heat.